Today’s news coverage has been saturated with discussions regarding President Obama’s failure to attend or send a proper representative to the anti-terrorist rally in Paris, and the cyber attack on CENTCOM (U.S. Military’s Central Command) social media accounts. Earlier today I posted my update to the Word of the Lord, WATCH!, showing that the fulfillment of this prophetic word had begun. Awhile later, I was walking through the house, and on hearing more of the same discussion on the news, I heard the Spirit of the Lord say, “REPROACH”. He then led me to read Isaiah 30:5. Tags: Cyber attack on CENTCOM, France anti-terrorism rally, God's judgment on America, Obama administration an embarrassment, Prophetic word, Reproach on U.S. I received this email last night concerning an earlier post. I had never considered this that the Lord spoke to me two years ago was prophetic of what would happen exactly two years later. I just thought that the Lord was showing me truth of what had already happened and the attitude of this President and his administration. I had no idea that two years to the day later it would be proven that they would not only be without conscience, but worse. With all that has been revealed over the past six weeks concerning the administrations knowledge prior to, the participation during the actual attack, and the cover-up since, it is obvious that this word from the Lord on 9/12/10 was not only truth for the time, but also prophetic of what was to come exactly two years later. The recent revelations of Washington’s multiple refusals of urgent and repeated requests for protection by Ambassador Chris Stevens, and most especially the incomprehensible order to “stand down” given twice to the operatives trying to rescue those under attack (orders that X-Navy Seal, Tyrone Woods, who was leading CIA personnel refused to follow, and died in his courageous attempt to save the Ambassador and others), and the seven hours of attacks, made the Presidents and his administrations words and actions to the families and to the American public afterward, unconscionable. Congressional hearings regarding Benghazi brought about many startling revelations. One such revelation concerning President Obama gave credence to the headline “Sleeping through Benghazi”. Thanks to Fred Carlson for bringing this to my attention! Almost a decade ago, March 21, 2002, the Lord gave me a vision and told me that Pakistan’s then President Musharraf was a two headed snake and that neither he nor his country could be trusted. Though Pakistan outwardly declared alliance with the U.S., they had a double agenda that was detrimental to America’s war on terror. I have made updates to this prophetic post as confirming events and revelations have manifested, and today I received even more confirmation of what the Lord revealed ten years ago. Click HERE to view the video titled “The Story Behind Osama Bin Laden Assassination and the Pakistan Double Game” on Walid Shoebat’s website. 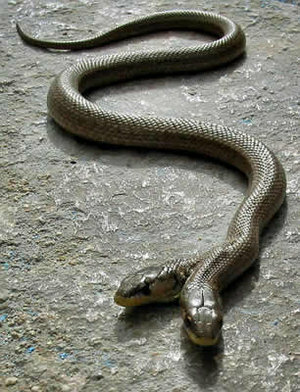 Osama bin Laden is dead, but the two-headed snake is still alive. On March 21, 2002, nine years ago, the Lord spoke the name Musharraf to me and then gave me a vision of a two-headed snake standing upright like a man. He caused me to understand that the president of Pakistan could not be trusted as an ally in the war on terror. Normally the Lord shows me the event that will take place. This morning, He simply showed me that there would be an event by showing me breaking news being reported on TV about a tragic, deadly event in the U.S. five hours before it took place. Read of it here.